I started in the Resort in May 2013. 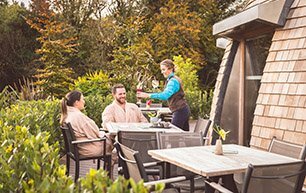 I worked as Spa Assistant for 6 months and then I moved into the following roles as part of the front of house team in the spa: Spa Reservations, Guest Liaison and Spa Reception. I worked in these 3 roles for a period of a year and a half. I then progressed into the Spa Reception Manager which I was in the role for nearly 2 years. 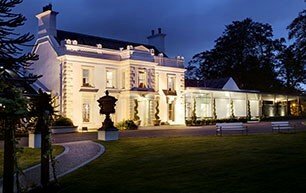 I came to Galgorm with not much customer service background and very quickly moved my way through different roles in the spa trying new things. The managers which were above me have been the ones who have helped me get where I am now, with specific direction and guidance allowed me to develop myself into a manager. Being given the chance to work closely with the management team and take on different training course to help develop my skills. I am now the Thermal Village Assistant Manager, I have been in this role for over 10 months. This position entails me managing the reception, spa assistant and duty manager teams alongside the Thermal Village Manager. It also involves ensuring a smooth running of the spa on a day to day basis, ensuring that all standards are always meet and that we are delivering a high standard of service. I love customer service and being able to meet different people from different places each day allows every day to be different. It is great to build relationships with my team and to help develop them further in their careers. 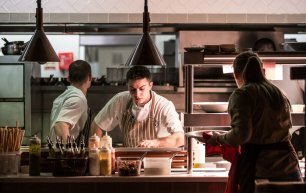 Hospitality is a fantastic industry which is continuing to develop in Northern Ireland, this allows for so many opportunities to develop within your role. It can be changeling as you are always front facing with the guests however it is very rewarding especially working in such a great Resort.